Need to pave a pathway to exceptional communication? Want to make the most of your potential? 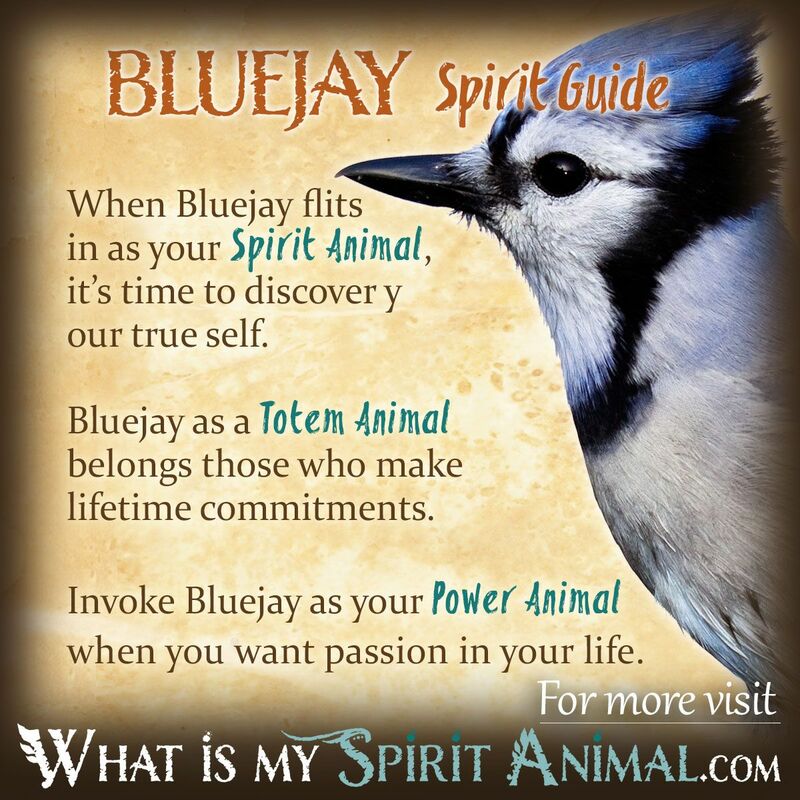 Bluejay as a Spirit, Totem, and Power Animal can help! 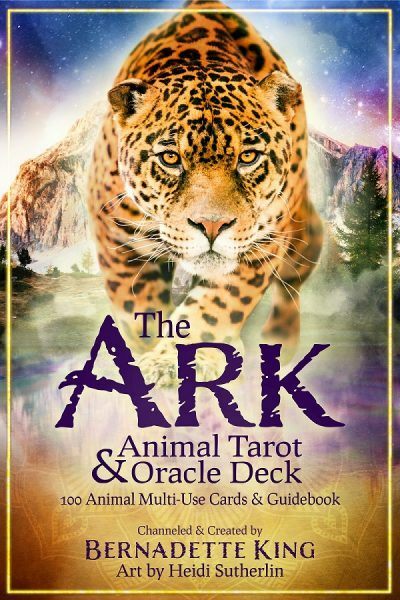 Delve deeply in Bluejay symbolism and meaning to find out how this animal spirit guide can inspire, encourage, and enlighten you! Blue Jay is known for being the ruffian and scalawag of the Animal Spirit world. These creatures are incredibly smart and focused, and they don’t tolerate nonsense. In the wild, Blue Jay attacks any enemy with bravery and assertiveness. This boldness expresses itself, even more, when the nest is in danger. This Spirit Animal protects his home without reservation even in the face of a larger predator. Jays mate for life, giving them the symbolism and meaning of faithfulness and accord. When you are thinking of an Animal Spirit who can represent lasting bonds between two or more people, Blue Jay is a perfect choice. Blue Jay medicine resonates with loyalty, strength, solidarity, and patience. Blue Jays have much in common with Raven Spirit and Magpies. They love to chatter and have a very intricate language. Jays have been known to mimic human speech, making them quite the impressionist. This bird becomes an emblem of opportunity and expediency. They are not picky about where they build a nest. Rather they simply look for a functional location including old mailboxes! Such resourcefulness is an attribute worthy of our attention. Blue Jay reminds us that if we LOOK closely, there are many possibilities around us daily. There is no question that Blue Jay is a tad audacious, curious and vigilant. They have a reputation as a trickster too. They are birds of action, determined to overcome any obstacle. Surrender is not really in Blue Jay’s vocabulary. Many are comfortable in the company of humans, sometimes following a person that captures their interest. Wherever they travel, Blue Jays announce their presence with abandon. If you find a Blue Jay feather it may have a variety of meanings. First, it portends a turnaround of some sort – things are about to get much better so hang in there. Second, the feather represents healing. Whatever is happening you need time to restore your body, mind and spirit. Remember the power of self-care (don’t skimp). From a Shamanic perspective, the feather says pay attention to subtle hints people are giving you. Don’t be afraid, stand firm and assert your talents so as to inspire others. Don’t spread yourself too thin, though. Work on one or two things and complete them brilliantly. A Blue Jay feather also asks if you are holding back a discussion that needs to happen. The Blue hue is associated with your Throat Chakra. Embrace the boldness of Blue Jay, and temper that with wisdom. Key characteristics of Blue Jay energies include boldness, vibrancy, comprehension, devotion, wonder, keen-mindedness, communication, protection, cleverness and eloquence. NOTE: Blue Jays are a protected Migratory Bird. It is illegal to possess any part without a valid Federal permit. When Blue Jay starts chattering in your ear, listen closely. His is the secret of tapping your inner potential, imagination, and joy in making new discoveries about your true self. Blue Jay wants to teach you to trust in all the possibilities that can help you achieve your dreams. As a Spirit Guide, you could not wish for a more faithful companion. Blue Jay will stay with you as long as necessary to see you complete your quest. Along the way, Blue Jay Spirit will make you aware of, and protect you from, negative energies that could derail your adventure. Better still, Blue Jay shows you how to use resourcefulness as an adaptive tool. Blue Jay medicine centers heavily on effective communication and using our mind. Have you been thinking through your conversations? Are you speaking in a way that people truly understand your intention? Words have power, and now is the time to harness them, own them. Speak your truth with confidence. Another reason Blue Jay comes to people is when you’re ignoring your psychic vision. We need that gift as we fly through life, especially in moments when everything seems dark. You have more senses available to you than what the earthly realm offers. Open those eyes! There are wonders to see just beyond our normal perception. Those born with a Blue Jay Totem are charmingly curious about anything that’s bright, shiny or glittery. In everyday life, this translates as being an ever-vigilant investigator. The Jay likes to dabble in a lot of things, and they gather tidbits of information as they go. You will never get bored when conversing with Blue Jay people. They can tell you all kinds of trivia and facts on nearly anything. If this is your birth Totem, you are a very capable person who communicates your needs (and wants) to those in your circle. Sometimes you come off as a bit arrogant because of your confident core, but over time people will see the true you. Second, guessing yourself rarely happens even when there’s a risk involved. You want to “seize the day” and any adventure it offers. Walking with Blue Jay gives you a different perspective on life. You can see the connections between everything clearly in your minds’ eye. This results in you having a strong spiritual nature that craves growth. The interesting thing here is that Blue Jay understands how to use their mind in mystical matters too. At home, you are a fierce defender of those you love. If someone disrespects your space, they are not welcome back. If someone threatens your home or loved ones in some manner, you go on the warpath. Woe to that person as you are now on a mission. Just take care that your intense guardian nature doesn’t turn into possessiveness or misinterpreting someone’s intentions. Look to Blue Jay as a Power Animal when you find yourself drawn to uncovering the lessons from your past lives, particularly mystical insights. In waking hours, these bits of wisdom turn ordinary life into something truly extraordinary. Expand those wings and embrace your individuality. Blue Jay can also help people who are shy or don’t seem to know how to get their message across. Working with Blue Jay helps you in knowing when to express your power, and when it’s time to be silent and just listen. In turn, people really start paying attention; this builds respect and confidence. Is there something you desire that you’ve hesitated about and held back? Blue Jay is a great ally for getting you going again. He has tons of vitality and enthusiasm. Time to put a fire under that passion and go for it! You cannot achieve if you never try. This is your next grand adventure. Use your vision, your imagination. Grab those opportunities and dare to dream. Among the Sioux, Blue Jay represents “double vision,” meaning greater clarity. They interpreted the Jay’s nesting space among the fir and oaks as symbolizing strength, long life, and endurance. While Blue Jay is noisy and aggressive, they also have a role as a trickster in stories who is very clever and helpful to humans in his own cheeky way. Shamans teach that Blue Jay also represents our ego and pride. They have an arrogant Spirit and sometimes prey on other nests for their food. The balance to this is that Blue Jay is an opportunist. He reminds us to treasure what we have and watch for those open doorways. You do not have to be a “victim” of the world. Blue Jay teaches us how to use our abilities with wisdom, remaining present and attentive in our daily life. Native stories tell us that Blue Jay once had a beautiful singing voice. People everywhere wanted him to sing for them. This made Blue Jay boastful and pretentious. The Earthmaker saw this and decided that Blue Jay needed a lesson in humility. Blue Jay woke one day to sing, but his voice came out rough and bristly, reflecting his true nature. Blue Jay’s song remains that way as a reminder to honor our gifts rather than exploiting them for our own hubris. In the Winnebago Tribe, the name for Blue Jay, jejejiniga means lively or mischievous. There is not a lot of writings that mention Blue Jays because they are not native to the region. We do find a few mentions of pale colored Blue Jays being believed to house the spirits of Druids who, in this form, continue planting seeds in the sacred oak tree. There is a God and Goddess also appear to have Blue Jay spirit animals. One is Eir, the goddess of healing and mercy. Her Jay is gray, however. Od, the god of wishes and love, holds the Blue Jay sacred. The following tale tells of the Princess and the Blue Jay (Jaybird). There was a charming princess who everyone thought was perfectly happy. After all, she had all a young girl could ask for – that is but one thing. She wanted the handsome Prince Rama who, of course, paid her no mind. The princess thought her raspy voice kept the Prince from truly noticing her. One day she was sitting in her garden when a Blue Jay began singing. She adored his voice and said, “Oh, Blue Jay, if I could only have your voice, Prince Rama would love me.” She began to cry. Suddenly the moon shone brighter, and the Princess felt her throat tingling. When she tried speaking her words now sounded melodious and sweet. She was so happy and thanked Jay Bird profusely. He replied “You’re welcome” in a very ragged voice. “I now have your voice, and you have mine,” he replied. “But now you are just a plain brown bird with no beautiful song to sing.” She hung her head. “I wish I had a gift for you. for your words and kindness.” She looked at herself and remembered the vibrant blue scarf on her shoulders. “Here take this. I wish you could have feathers this color for all eternity.” The Blue Jay’s feathers turned blue like the scarf. The Princess forgot she still had the magic lotus and it granted her wish. While the Jay’s harsh voice remained, so did his lovely color. What about the Prince? Well, he finally noticed the princess and they married. However, she never forgot the Blue Jay’s lesson, which gave her great happiness for the rest of her days. When a Blue Jay appears in our dreams, it may be a symbol that it’s time to act on something tied to your soul’s purpose on this earth. You may be trying to fool yourself, or are listening to the wrong advice. But in waking hours, you must live your truth and look within. As a spirit tied to the Air Element, Blue Jay also represents your thoughts and intelligence. Has your mind been cluttered or unfocused? It’s time to clear that out, perhaps by meditating or taking a long walk. Another meaning for Blue Jay in your dreams is a message of being humble. Don’t get so over-confident that you actually undermine your goal. Life, at the moment, is out of balance. Blue Jay recommends honorable living, solid foundations and remaining attentive without becoming arrogant. Finally, Blue Jay may appear as a warning. There is some type of danger near, and you must proceed with caution. Manipulative energy is in the air. Keep your intuition tuned in to the high setting.